Not the way I’d planned to start the season. 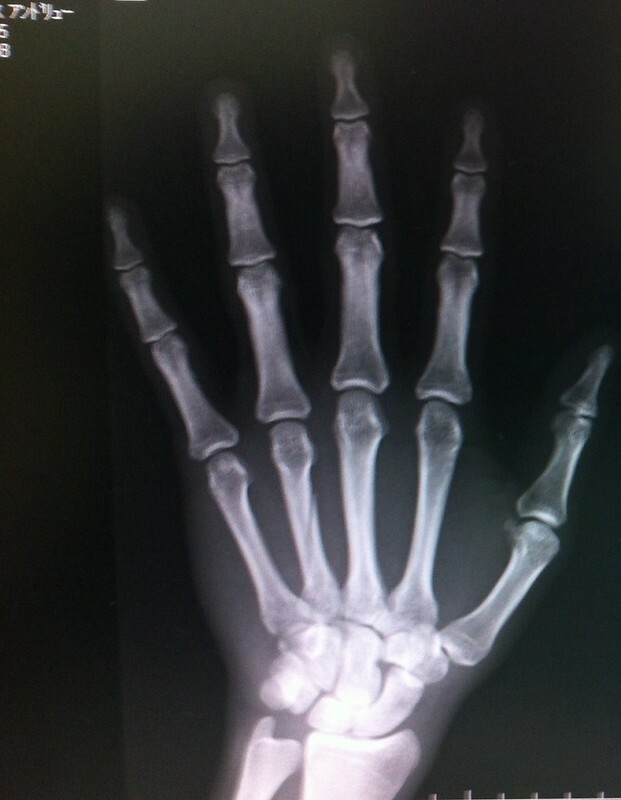 Turned out that ‘sprained’ hand from last weekend is actually broken. I’m going back to the doctor next week and they’ll pin the bone together. I won’t be skiing the weekend immediately after that, and then I’m heading to the UK for Christmas and New Year. So it looks like my season is on hold until early January. Bugger. 4 ski days so far. I’ll have some catching up to do. This entry was posted on December 6, 2013 by Andy Evans. It was filed under General and was tagged with Hokkaido, Injury.